Israel is a small country that should not logically be the center of the world’s attention. That is really insane. 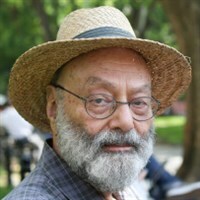 The writer is professor emeritus of linguistics whose specialty is Jewish languages, in particular the dialects of the Jews of Italy and southern France. He taught for many years at the College of Staten Island, CUNY, and was an exchange professor at Hebei University in Baoding, China. His varied interests include politics, music, the Bible, and humanity itself - and his wife, two daughters and grandson. It is true that Palestinians do not have a state of their own. The Arab world rejected such a state when the U.N. voted to partition Palestine in 1947. For Rightists in the United States, Obamacare takes precedence over every other question. For Leftists, Israel is the issue that supersedes all others. In both cases, this makes no sense. Obamacare is a wishy-washy step in the direction of extending Medicare to people below the age of 65. Medicare is hardly a controversial issue nowadays, and even when it was brand new, it was not especially opposed by conservatives. Senior citizens are typically grateful to have Medicare. So are their younger relatives. Medicare is a form of socialized medicine. It is not the only one. If there is an accident, or if someone on the street suffers a heart attack or a stroke, an ambulance will take patients to the hospital, where they will be treated even if there is no time to locate their identification. When they get better, they can pay their bills or call their insurance companies. If they have no money and no insurance, they have simply received free medical care. Saving lives is moral. Helping sick people get better is moral. The argument against using government money to cure illness makes sense only if one is a libertarian. The libertarian position, if taken to its logical conclusion, would do away with police and fire departments, since individuals could sign up with private police of fire fighters who could protect those who were their customers. Although I don’t agree with that position, I recognize its internal consistency and its relationship to opposition to any kind of government medical care. Very few Republicans oppose government funding of police and fire departments. Nevertheless, they embrace the libertarian position of not allowing the government to help sick people with tax money—money they believe was stolen by the government from unwilling citizens. Whenever some aspect of Obamacare doesn’t work, Republicans cheer. Opposing Obamacare is the number-one Republican issue. Conservatives have joined ultra-Rightists on this question. Israel is a small country that should not logically be the center of the world’s attention. It is true that Palestinian women are less likely than Jewish women in Israel to become doctors. On the other hand, Arab women in the Middle East are more likely to become doctors in Israel than in any other country—by far. It is true that Palestinians do not have a state of their own. The Arab world rejected such a state when the U.N. voted to partition Palestine in 1947. They did so again with the Three No’s of Khartoum in 1967. Arafat rejected an independent state at Taba in 2001 after President Clinton had negotiated an agreement with Israel. Gaza rejected the idea of an independent Palestine after Israel withdrew unilaterally in 2005, giving them a de facto state. Hamas is rejected the idea of joining with an independent "West Bank" every time it sends rockets aimed at civilians into Israel—rockets that in effect bear the message: If the West Bank is independent, rockets aimed at Tel Aviv and Jerusalem will be much more effective than those sent from Gaza. For leftists, Israel is the world’s number-one villain. The BDS (boycott, divest, sanction) Movement began in 2005, when Israel announced it would withdraw from Gaza. Syrians are being killed in great numbers in the civil war that is taking place there. The Left has little to say. Iraqis blow up other Iraqis of different denominations frequently in marketplaces and mosques in Iraq. The Left has nothing to say. Homosexuals are hanged in Iran. The Left has nothing to say. The Saudi religious police prevented firemen from rescuing students at a girls’ school. The Left had nothing to say. How can the Left talk about murders, executions, gay rights and women’s rights at a time when Israel exists but when there is no independent Palestine? After all, discussing these questions might make Israel look less bad. Obamacare, as I said above, is a wishy-washy plan. Israel, on the other hand, is a country with a population of human beings. Israel’s existence is a much more important question than Obamacare. But the extremism of the Left and the Right on these questions is equal.